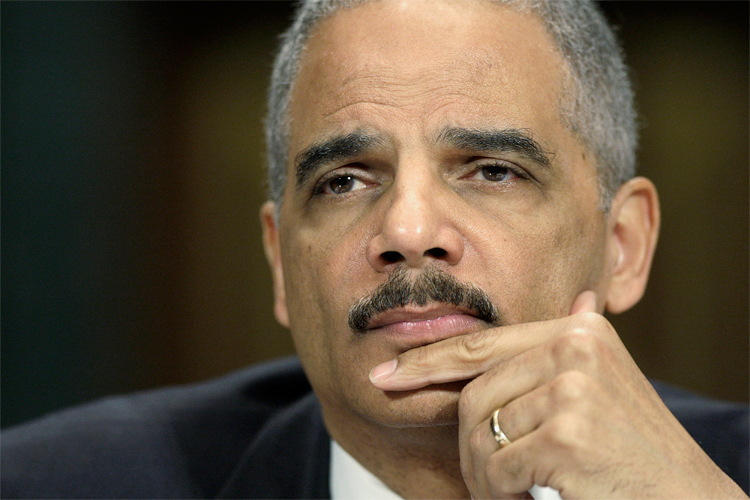 AG HOLDER – WHO’S THE COWARD NOW? Here I go again, offering a dissenting opinion about US Attorney General Eric Holder’s decision to leave the Obama Administration. I think many of the mainstream news sources glossed over some important details about Holder’s tour of duty at the Department of Justice; Fox News analysts have their brains stuck too far up their partisan portholes to offer a balanced opinion; and Al Sharpton is—well, I’m not sure how to accurately describe that Brother’s situation, but I’m pretty sure his declaration of Holder as the greatest civil rights US Attorney General in American history touches the areas of detail negation and party line pimping. You have to question the value of Holder’s fight for voting rights and marriage equality since he concurrently presided over the National Security Agency’s war against Americans’ civil liberties. Holder’s legal reasoning for the extrajudicial executions of suspected American al-Qaeda operatives means any American could get the same drone hospitality. Let me crystallize that point further—you could be walking down the street minding your business, and this government could kill you without an arrest, indictment, trial, or conviction. Plus, the government doesn’t have to provide details to anyone about why you were off’d. The embattled Attorney General caught plenty of shrapnel from the Right when he called America a nation of cowards for refusing to have a conversation about race. But guess who’s leaving office soon without sending at least one invitation for that talk…? This entry was posted in Politics, Race and tagged attorney general, Barack Obama, Civil Rights, eric holder, marriage equality, NSA, Terrorism, voting rights. Bookmark the permalink.